Pass through the barrier of time and space and brush away the dust of history. Dunhuang, in the most western end of the Hexi Corridor, is the hub of the ancient Silk Road and the gateway to the world. It is also an important stopover for Buddhism to spread to the east and find a position in central China. As the most important ancient city in the trail, every year it can witness countless caravans and businessmen on travel. The four greatest civilizations-China, India, Greece and Islam-meet and converge here, making it prosperous for quite a period. 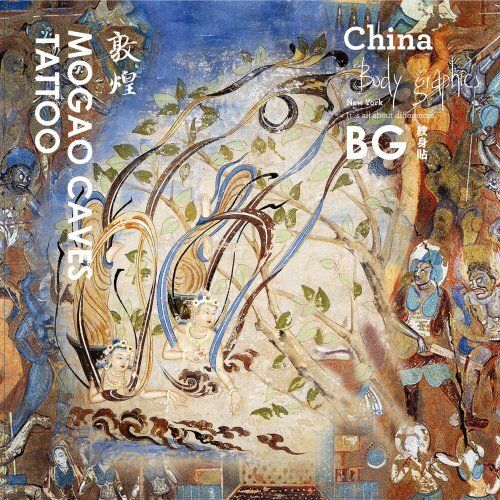 From the 4th century AD to the 14th century, Dunhuang continuously opened caves, built statues and did paintings, lasting for a millennium continuously and making Dunhuang Art as represented by the Mogao Grottoes become the glorious treasures of the Buddhist art of China and even the world. It has a very important position in Chinese and world art history. The Dunhuang grotto art created over a thousand years is mostly based on Buddhist classics. Meanwhile, it also showed the life and culture of ancient societies over the one thousand years. Its large scale and wonderful skills are breathtaking for today’s people. Positioning philosophy: Take high-quality temporary tattoo paper as a carrier with around 25-year-old white-collar elites in cities as target customers, providing them with new options for fashion and trend so that they can be different from others and different from yesterday. More information: 1.General version:195mm*195mm 2.Technology: imports of all raw materials: Taiwan ink, glue Korea end-paper, film Unified production, eight process, patent certification 3.design: International design team, the domestic first-line designers co -jointly To reach the International cutting-edge fashion, combined with international urban chic, Explore creativity. Centre words: fashion, high-end, unique.